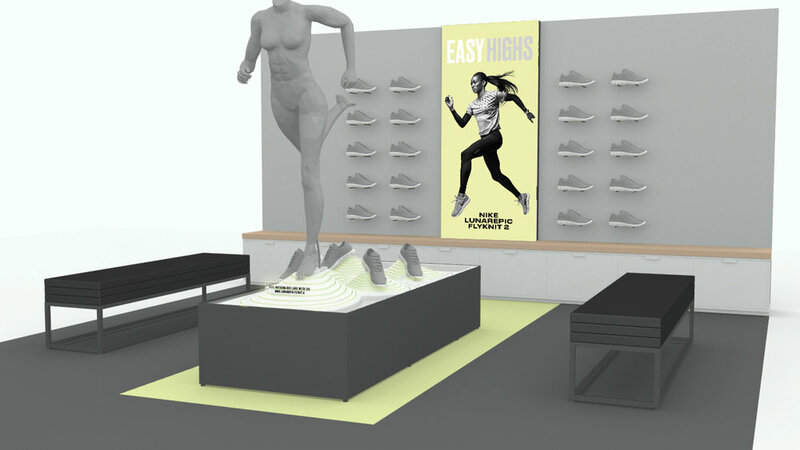 Nike reached out for a new proposal for a floor display designed to elevate the product and educate customers on the shoes many benefits. 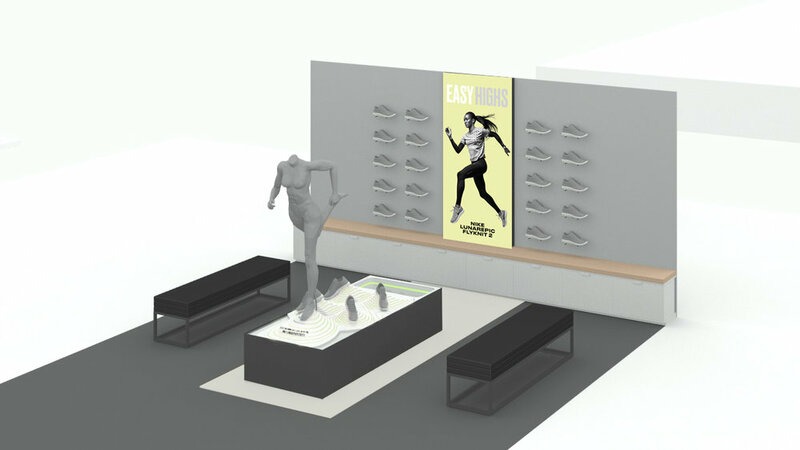 In order to develop a retail fixture that appropriately communicates the benefits for the Lunarepic Flyknit 2 shoe, the features of the product were thoroughly researched. From its release in early 2017, The Lunarepic Flyknit 2 has been toted to have some of the best features for a men’s / women’s running shoe. 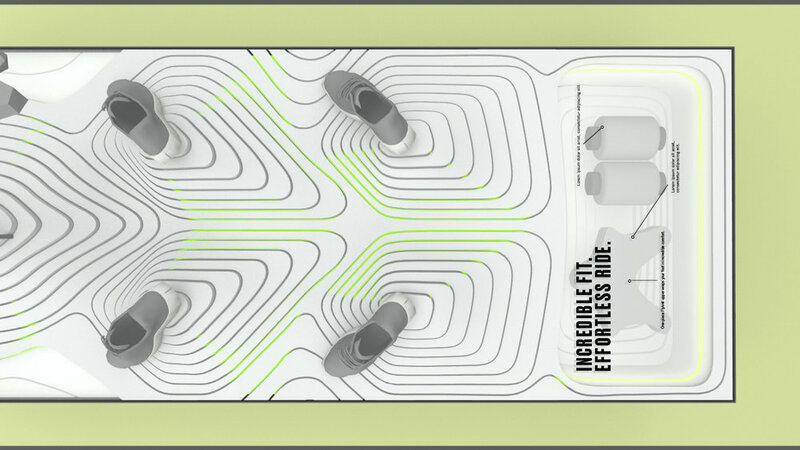 From its ultra-lightweight design, to its Lunarlon foam sole with laser cut grooves for flexibility, or its one piece Flyknit upper for superior support; The goal was to make the display communicate the shoes features both visually through form as well as with campaign messaging in order to properly inform Nike customers. The fixtures design aesthetic born from the Lunarlon sole, literally elevates the product above a landscape of hills extruded in a topographic style. The topography itself hovers above an illuminated base creating a glow between each layer. Integrated throughout the fixture is additional product messaging and a mannequin wearing supporting product. In a display compartment at one end of the fixture, two Flyknit uppers and shoe material hover effortlessly while a halo light provides an edge glow on the product. The final fixture was made from CNC'd MDF layers finished with two campaign colors, powder coated steel base, adjustable RGB led internal light box, and laser cut acrylic panels for displaying product and campaign messaging.